In “The Notebook,” Noah’s dad encourages him to practice reading poetry to help him overcome the stutter he had as a child. Why on earth is this relevant to Spanish? A stutter is oftentimes rooted in uncertainty or lack of confidence in speaking. That’s something that every Spanish learner can identify with. The good news is, all of these feelings can be channeled into a productive outlet, like reading poetry and learning more Spanish. 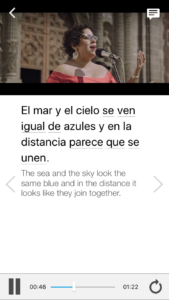 Spanish poetry offers a plethora of ways to promote language learning, from read-aloud practice to understanding the grammatical arrangement of Spanish words. You can shake up your study routine. Anyone trying to learn Spanish knows that it takes time and energy, but sometimes the most traditional ways of learning can start to weary even the most dedicated student of the language. 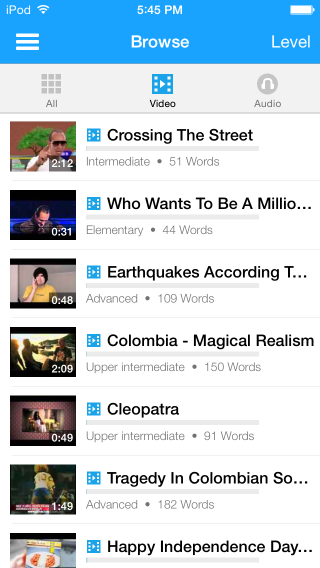 Flashcards, pocket dictionaries, translation apps, workbooks, oh my. That’s why it’s great to get off the beaten path and stray into zones you might not even be familiar with in English! It’s a huge boost for your brain. The adult brain, when trying to learn a new language, expands its neuroplasticity. Poems present a new way to learn new vocabulary and also offer an opportunity to practice speaking more smoothly as well. Literary themes in the Latin American community are very interesting. 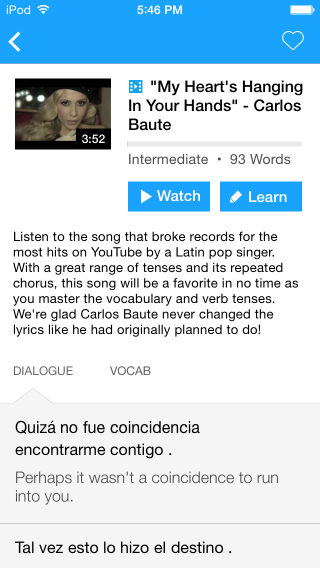 Spanish is a lyrical, lovely language. As in many languages, poetry in Spanish can explore otherwise controversial and transgressive themes. It can discuss deep political or personal themes. All of this makes for intriguing reading. Learning poems from different countries and regions can even be a great way to sneak in a history lesson or two. Beginning with children’s poetry primes you for the different tenses and structures of poems in Spanish. Much like children’s poetry in English, children’s poems in Spanish utilize simple repetition and describe literal imagery throughout the poem, meaning that children’s poetry is a good vocabulary builder. Starting with children’s poems can, in effect, be used as a strong stepping-stone to reading and memorizing more complex poetry in Spanish. Reading aloud will help with your general speaking ability, because speaking Spanish is really the only way to get better at, well, speaking Spanish. As speaking is often the element language learners struggle with the most, you’ll be ahead of the game if you take a deep breath and practice out loud. Out of sight, out of mind, as the saying goes. What’s the point of working to pronounce a poem if you’re just going to forget what you’ve read? By printing out little copies of each poem and sticking them in places you’ll be sure to see them (think: mirrors, doors, refrigerators), both the poem and the Spanish will stay in your mind for the long term. Once you’ve practiced saying it, and you’re familiar with seeing it, take a pad of paper and try to write out the poem from memory. You’ll be surprised by how much you do or don’t remember without the prompt in front of you, and it can be a good gauge to see if you’ve really learned what the words mean as well. Maybe you forget a word part-way through but fill in the correct one based on the rhyme or theme of the poem. Okay, so you have the poem memorized. But can you actually use any of the words in the poem as part of an actual conversation? 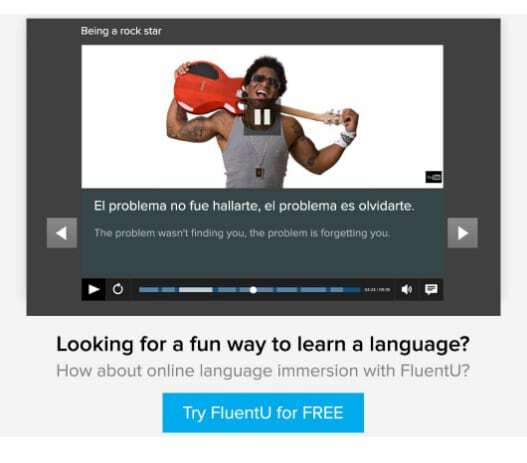 Turn poem memorization into a powerful Spanish-learning exercise by pairing your poems with FluentU sessions. 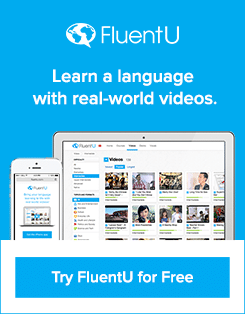 Start using FluentU on the website with your computer or tablet or download the FluentU app for iOS or Android devices today! Douglas Wright is a famous writer of children’s poetry from Argentina. His simple language and construction of imagery as perceived by a child makes it a good starting point for Spanish-language learners to get their feet wet. Learning a language after our first puts us back onto the same square as children, seeing the world with new and appreciative eyes, with a lot of questions to boot. Below are three poems by Wright that offer a great mix of imagery, vocabulary and brevity for the Spanish-language-learner endeavoring to memorize poetry. ¿qué sé yo?, por todos lados. en el que estamos sentados. de la mano bien tomados! This sweet poem about walking hand in hand with someone has a lot going for it in terms of how easily memorizable it is! The repetition along with fun, childish imagery, like looking at trees, looking at the sky and looking at reflections, makes this very easy to memorize. However, this ease is offset by its length. Make sure you break it up into four different sections to memorize. This quick, pretty poem is entirely about appreciating the silence. It begins and opens with the same phrase, meaning “everyone is quiet” and then lists everything that is quiet on this night. A fun and short one to have stuck in your head all day (or week). Four lines, no problem. This sweet poem about the brilliance of the stars also brings up a couple words most Spanish beginners probably won’t know, but these will definitely come in handy around the fourth of July. Can you figure out which word means “fireworks” from context clues? This poem by Cuban poet José Martí has the repetitive element going for it as well, but there’s a lot to dig into with regard to themes and symbolism—why a rose, why those months, why the word cultivate? Deceptively complex but still short and easy to memorize, this is a good poem to get you deeper into the language. Cuba has long been rife with churning political waters, and this author’s politician/writer combination will appeal to history buffs who also happen to be learning Spanish. Martí was exposed to revolutionary ideals as a young man, and these passions were fully kindled when his friend and mentor was imprisoned for fighting the political establishment in the 1860s and 70s. As a writer, Marti is heralded as one of the forefounders of Modernist literature in Latin America. 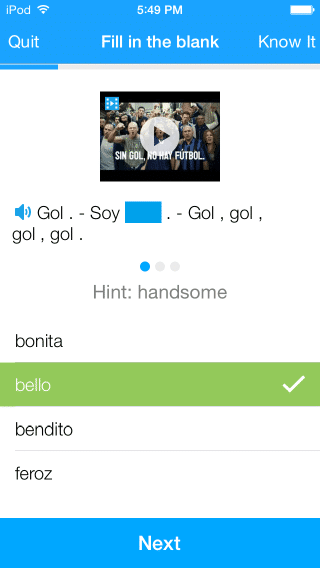 Words like desde (since) are words that the Spanish language (and all languages, really) hinge on to really connect what we know with what we can say. Desde means since, which sets the stage for a lovely poem about a woman reflecting on what it means to be interconnected with another from childhood. Margarita Carrera was born in the late 1920s, and her writing has tons of historical relevance as she was the first woman to graduate from la Universidad de San Carlos Guatemala. In addition to poems, she produced writing as an essayist and professor. …but you need to really commit if you want to understand it! Using children’s poetry to bridge the gap between beginning Spanish and intermediate Spanish is a brilliant way to start. More complex poetry is also a great way to advance your interest in different areas of Latin American culture. 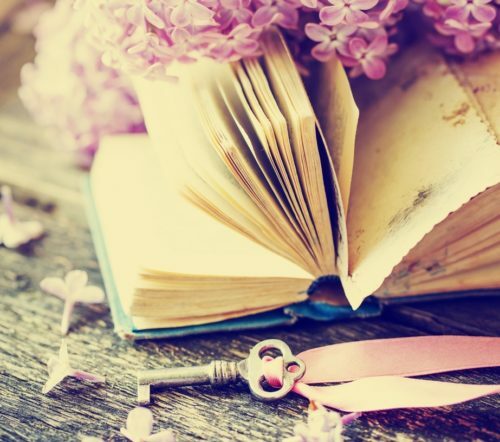 Many poems in Spanish denote the author’s preoccupations with events or themes in their home country, and learning about a country via its literature is an ability well worth aspiring to. Also, the grammar lessons and reviews inherent in poetry can’t be overstated—reading Spanish poetry is a sneaky way to trick yourself into reviewing and retaining grammar rules that tend to make all the difference in a sentence. Have fun browsing for words that strike a chord with you, and remember that all difficult things become easier with practice. The key is keeping the practice fresh and fun!